British Gas owner Centrica has trimmed gas prices by 5%. Which of the Big Six will be next? After E.on lowered gas bills 3.5% last week, it was inevitable its competitors were going to follow suit. 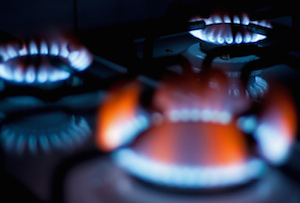 Centrica-owned British Gas was next over the line, announcing a 5% cut today. That will save 6.8 million households an average of £37 a year, which ‘reflects the recent fall in wholesale gas prices,’ the energy giant said in a statement. Energy companies have to buy supplies up to three years in advance to smooth out prince swings, and British Gas said most gas being used in homes today had been bought in 2013-14. The 5% cut does make British Gas look like it has stolen a march on E.on - but the German is actually still the cheaper of the leviathans. The former raised its gas prices 8.4% in November 2013, then cut dual fuel bills 3.2% on January 1 2014 when the Government responded to Ed Miliband’s ill-conceived idea of freezing prices for 20 months by trimming green levies. E.on, on the other hand, raised prices a more restrained 3.7% last winter. With oil still languishing below $50 a barrel, and the Saudis reiterating their determination to drive more cost-intensive producers out of business by not limiting their supply, gas prices aren’t going up anytime soon. But at the moment, it looks like the energy companies are digging in their heels and ignoring politicians’ increasingly loud and ill-advised calls to pass on the entire drop to consumers.